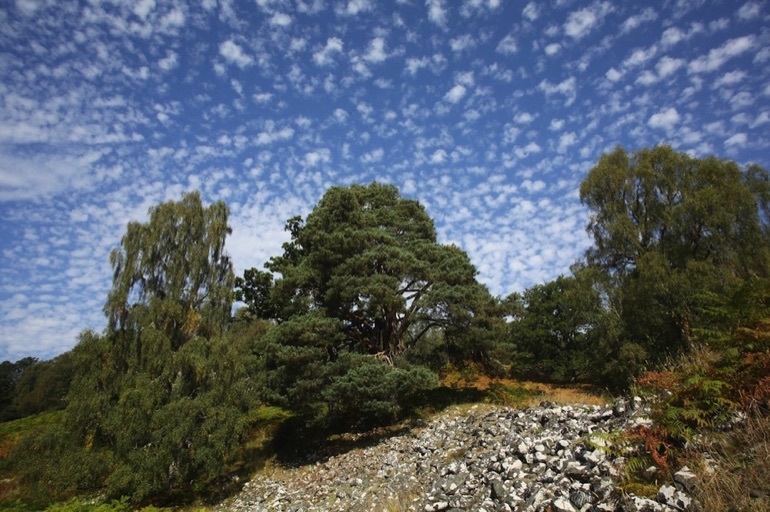 The lost woods and wildlife of the Scottish Highlands are to be rediscovered thanks to a new Gaelic place-name map project led by conservation charity Trees for Life, which will promote the cultural importance of Scotland's native woodland heritage. 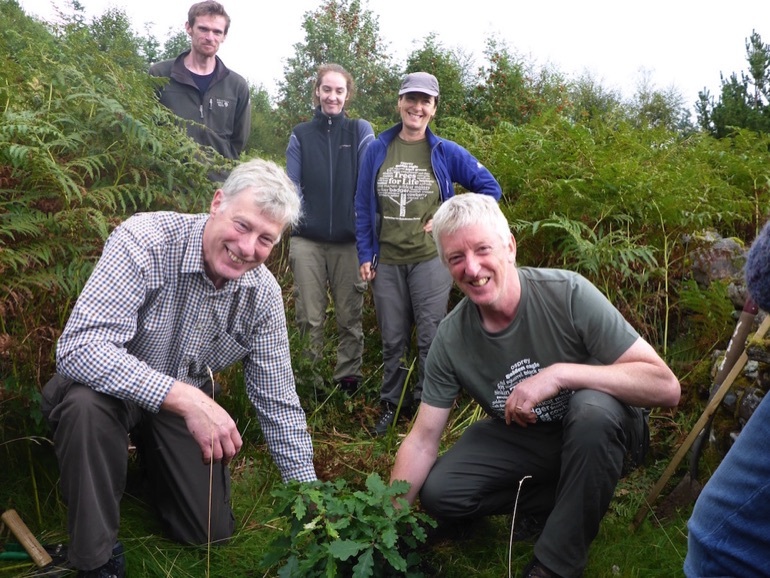 The initiative was launched with a two-day, 20-mile symbolic journey – Turas Nan Craobh: A Journey With Trees – from Trees for Life's Dundreggan Conservation Estate in Glenmoriston to Fort Augustus and Invergarry on 10 and 11 September 2016. Native trees were transported by two ponies and planted at key sites where place-names evoke a particular tree. Members of the community, school pupils, artists, heritage and walking groups, and Trees for Life ecologists followed sections of old military and drove roads. Gaelic storyteller Ariel Killick and poet Alec Finlay took part in special events. “Place-names contain a record of past ecology and can shed light on the woods and wildlife that once thrived in the Highlands and could do so again, with a little assistance from people,” said Alan Watson Featherstone, Trees for Life's Founder. 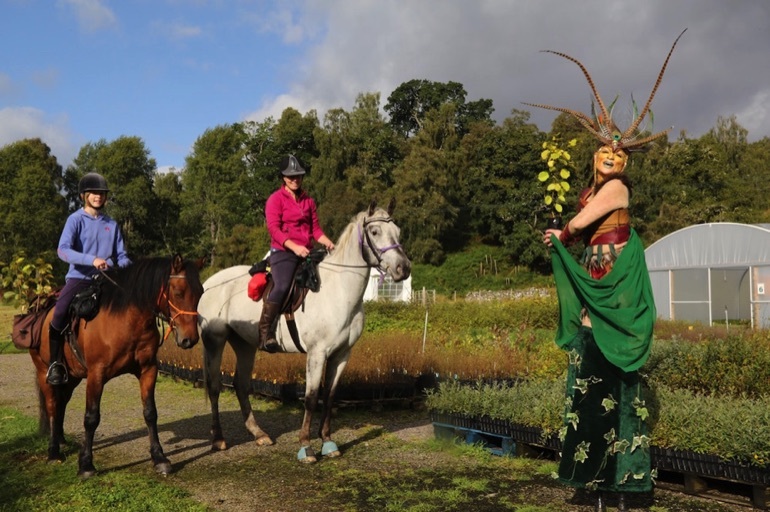 Participants in the Journey with Trees planted trees in gardens, school grounds and community green spaces, and in places where place-names evoke trees, such as Achadh-nan-darach – field of the oaks – on Abercalder Estate. Poet Alec Finlay will now create the map – which will be used by schools and community groups, and to encourage tourism to less well-known areas – by exploring place-names relating to woodlands, animals, geology and human dwellings in Glen Affric, Glen Urquhart, Glenmoriston and Glen Garry. His research will seek to identify place-names that indicate the past presence of woodland or animals, such as Creag a' Mhadaidh – the wolf crag – in Glenmoriston, and Beinn Eun – hill of the bird – in Glen Affric. Old maps, photographs, artefacts, census information, newspaper articles and older people's knowledge will all be used. The map – called 'From Creag a' Mhadaidh to Dubh-Chamas nan Ùbhlan' or 'From The Wolf's Crag to The Dark Bay of Apple Trees' – will be created in stages, with place-names revealed as new findings are uncovered. It will be used in school and community events focused on rewilding and Gaelic in the landscape, and to encourage tourists to visit locations such as Glenmoriston, Glen Urquhart and Glen Garry. Alec Finlay's blog at www.alecfinlay.com will feature information from the map together with poetry, linked to Trees or Life's website at www.treesforlife.org.uk. The mapping project is part of Trees for Life's Rewilding the Highlands project, which also involves the planting of more than 50,000 trees and the creation of wildlife habitats. The project won the Alpine category of the 2016 European Outdoor Conservation Association (EOCA) scheme, securing £23,000 through an online public vote. 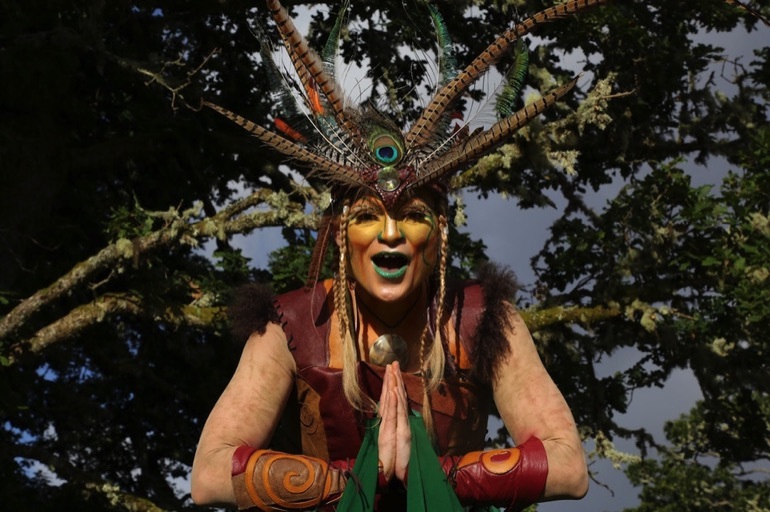 Partners in the project include Glengarry Community Woodlands, Storyline Scotland, and The Scottish Storytelling Centre's #DareTo Dream initiative.